The Ultimate Guide To Saving Time on Insurance. Let’s face it, insurance takes time and every minute saved on insurance administration also saves money and increases the value of your business. We believe that consumers need a lot more “instant” when it comes to insurance service. And technology is excellent at instant. But, what exactly do we mean by “instant”, and how much time will you save? You want to take a look at one of your insurance policies. It’s the exact same insurance policy, but you can access it in one of two scenarios. Which scenario would you choose? 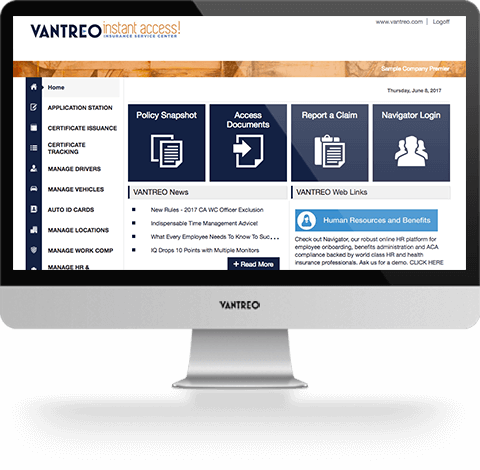 You'll be accessing your policy in paper form... from a binder or file folder somewhere. Of course it may not be in the last place you left in, or be up-to-date with current endorsements. And if you need to share any part of it with someone else, you’ll need to copy or scan it first. You'll be viewing your policy online within 10 seconds. It will be current with all endorsements, available from anywhere 24/7, and if you need to share any part of it with someone else, you can simply download a copy or send a quick screenshot. You chose to access your insurance policy in paper form. 23% of people agree with you. Grabbing a paper policy is great but why would you pick an alternative that is efficient only when you are physically located in the same room as the hard-copy policy? And while you might prefer reading paper over viewing your computer screen, you will be much more prepared to address policy updates or share policy information quickly if you had chosen Scenario 2. You chose to access your insurance policy online. 77% of people agree with you. Yes, any insurance document or service that can be delivered simpler, better and faster online should be handled that way. Everything else can be taken care of by live expertise. And when you can access your entire insurance world from just about anywhere, it increases the likelihood that you’ll save both time and money. Over 50% of employers enter the same work comp injury data redundantly up to 3-4 times. Employers are entering injury data once on the First Report of Injury Form, again on their OSHA logs, often a third time for trending reports, and now the new OSHA electronic filing law wants the same information entered again on their site. 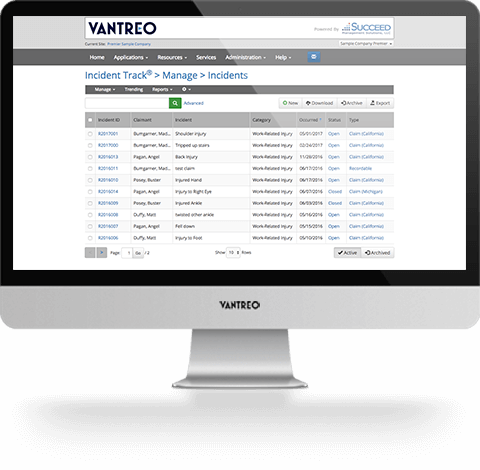 Now employers can enter work comp injury data only once, when they submit a claim, and the technology simultaneously completes the OSHA logs, trending reports, and satisfies OSHA’s upcoming electronic filing requirements. That’s about a 75% savings in redundant data entry. What is the #1 reason employers switch to online HR onboarding and employee benefits administration? but good reason. HIPAA violations are expensive not to mention the possibility of being posted on a national offenders list. but good reason. 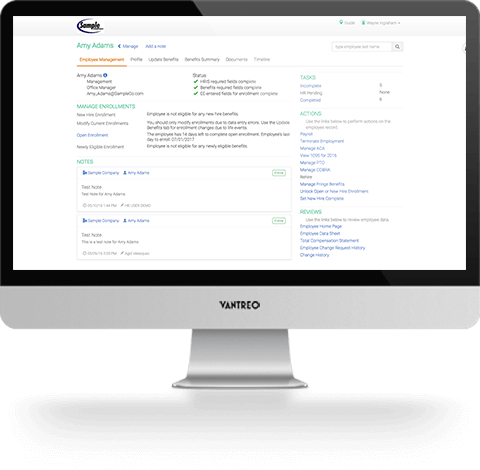 Online simplified ACA compliance includes eligibility tracking, calculates affordability, and monthly FTE, and generates 1094-C and 1095-C forms, etc. The #1 reason to move to online HR onboarding and benefits administration is to streamline employee management and save at least 1-2 hours per employee per year. Embrace efficiency. Access your insurance information anywhere 24/7. Documents and tools are strategically organized online to save you time and money. CompZone™, our proven system to reduce work comp costs, helps business owners and managers by providing the claims advocacy, management training, and fraud/exaggeration strategy needed to establish a loss-free corporate culture. Technology exists to make everyone's life easier, but employee benefits and HR are too important to leave to a website or call center. We bring you the best of both worlds, great technology and hands-on support. That means, you’ll access world-class benefits administration and HR technology supported by insurance and HR professionals who know and understand the complexities and can provide wisdom and claims advocacy when you need it.